App Builder Appy Pie: If you have been working with mobile apps at all, then you must have realized the importance of promoting your app, through organic or paid methods. It is common knowledge that in an overcrowded market that we have today, it is impossible to garner any measure of attention from your target audience if you do not market your product (in this case, your app) in just the right way! 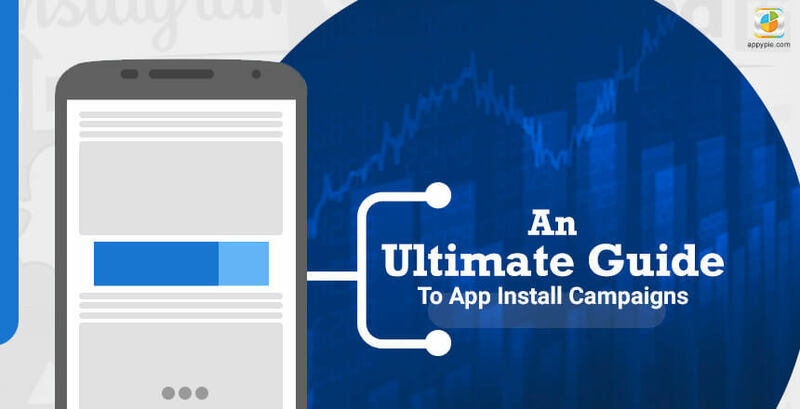 In this post we are going to talk about running Mobile app install campaigns, what they are, how they are run, what you must know before you begin to run them, and the best way to run them. What are app install campaigns? If you are aiming to get featured in the top 25 featured apps on the App Store in let’s say the popular social networking category, you would have to make sure that your app is downloaded at least 7,000 times in a day. If, however, you are looking to get featured in the overall top 25 apps on the App Store, you are looking at more than 35,000 downloads every single day. Paid app install ads are those that link to the app’s listing on different app stores and can even run on Google Search and Display Networks, and YouTube. These paid app install campaigns can help mobile apps cross the initial (nearly impossible) hurdle of getting ranked within the App Store, thus making it a lot easier to get organic traffic. This is actually one of the most effective methods of getting those downloads and the organic traffic that you are aiming for. Did you know that in the first three days of an app install campaign boost, the mobile apps see an average 0.65 organic install for every paid install? This figure however is true only for non-gaming apps. Now, if you are considering getting a paid app install campaign started, let’s get into how the app install campaigns work. How do app install campaigns work? The paid app-install ads or campaign help push a massive number of downloads in a considerably short time, in the process boosting up your rank on the app store you are advertising for. In this process the visibility of the app increases which then attracts new users. As a result of this, more users would download the app and the organic traffic is bound to skyrocket! This is actually a pretty smart way to jumpstart the user base growth. To put it quite simply, an app install campaign begins when you post an ad on a chosen platform. following this, the click-throughs are recorded on the basis of the device’s IDFA or Advertising ID. After the user has installed and completed the onboarding or the initial opening process, the IDFA makes another entry in the records, compared to the initial numbers, and then sent back to the server. This information is collected with the intent of tracking and billing. 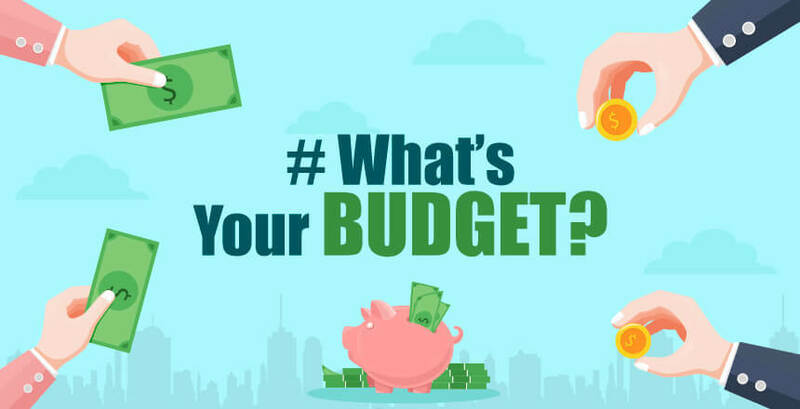 What kind of a budget are we looking at? 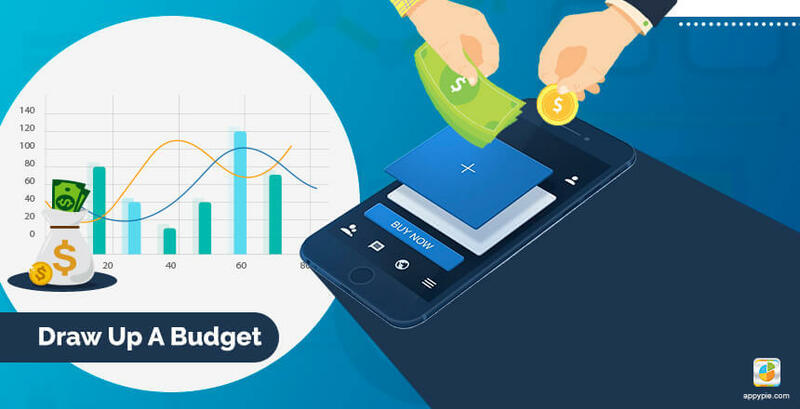 Everything has a cost, and if you have decided to promote your app with a paid mobile app install campaign then you must understand that there is a cost involved here. Hence, when you are planning your budget to come up with the money you are going to have to spend to get ranked is simply knowing how many downloads you need to break into the top 25 charts and in knowing the average cost per install. The formula as it stands is actually quite simple! In spite of calculating every single detail, there is a good chance you are going to experience some kind of a fluctuation on a daily basis. As a generic figure, if we were to attempt to quote the average cost per install, it may stand to be somewhere around $1.24 for iOS and $0.53 for Android. Though there are multiple platforms that work pretty well for paid app install campaigns, two of the platforms that have gained the most popularity are Facebook & Twitter. Now, this preference can be attributed largely to the fact that they enjoy a huge amount of visibility, which is the reason why here, the average cost per install is well below other common platforms. As compared to Twitter, Facebook’s cost per install runs for approximately 40% less. In addition to this Facebook also offers you extremely detailed demographic data including things like income, net worth, ethnic affinity, generation, preferred political organization, and their life events as well. Facebook and Twitter are not the only two platforms that may be used for your paid app install campaign. The platform best suited for your ad campaign depends heavily on your app’s category and the user base that you are targeting (among other things). Now, every project you undertake, even if it is an internal project with as focused or as diverse scope as there can be, must start with a sound research, especially if you are doing it for the first time. When you are planning to run an app install campaign, there are certain things that you must be aware of, before you even begin working on it. I have compiled, here, for you, a list of some of the most important things that you must know before running a paid mobile app campaign for the first time. Ideally, the app that has the best features or has the best performance should do the best and enjoy the maximum number of downloads and installs. This, however, is not an ideal world. In this cut-throat and competitive world, it is important to use apt marketing measures to garner the kind of attention that you are looking for. On a very serious note, if we are being realistic, the only way for apps to get noticed in this hyper-competitive environment is by generating a high volume of installs (including both, organic and paid methods). Organic installs or the unpaid installs, in general come from the customers who are exploring the app stores or are conducting their own organic search. This basically means that people discover an app using related keywords or brand search in some cases, or looking at the top apps in specific categories, or follow a tip to download the app from the app store’s featured recommendations. The paid installs or the non-organic installs that were essentially a result of active promotions, particularly through an ad campaign or via an incentivized network. Here, the app users are encouraged to download and install an app in exchange for virtual currency or some other kind of incentive. The total number of installs for your app is a deciding factor when it comes to app store optimization (ASO). ASO is a method or a set of techniques that allow the marketers to enhance the rank and visibility of the app within the app store and in relevant search results. When you make an investment in releasing a paid app install campaign or in non-organic installs you will benefit by enhancing the ranking of your app, which will further boost up the number of organic installs too! This means that if you are getting into the paid app install campaign arena, you stand to benefit in the organic installs’ arena as well! Before the mobile devices began their conquest and capture of the market, the process of tracking and measuring any form of digital data was actually quite simple. All one had to do in those times was employ some good old cookies! Cookies make it possible for the marketers or advertisers to track the users or visitors, measure the impact of their campaigns, and make better informed decisions about the spend on the current ad and plan future ads. To top it off, this is highly accurate and lets you do everything we mentioned earlier in an anonymous manner. As the mobile revolution stormed the marketing arena things changed in a big way as the cookie was not supported on apps or on the Safari Browser (for Apple). This meant that a huge chunk of the market was not being tracked, thus botching up the results for the marketers. Since you cannot depend upon the cookie, there is massive fragmentation when it comes to the mobile world. Considering that there are different operating systems (iOS & Android the two most popular ones) and a host of varied environments including (in-app, mobile websites etc.) What makes matters even worse is the sheer lack of any form of standardization. However, it is not all bleak on this front now that there are some neat ways to identify the different connections quite accurately using a number of different identification methods like ID Matching (IDFA for Apple, Google Advertising ID, etc. ), Google Play Referrer, and fingerprinting. The mobile measurement today is largely running on a last-click attribution model. What it means is that the advertisers would only pay the single network which was responsible for driving the last click prior to the install. This is typically within a grace period of seven days. The attribution companies have the ability to do this, because they are integrated with hundreds of networks. This integration actually gives them a bird’s eye view of the entire path to conversion. In absence of this coveted aerial view, neither the advertiser nor the network would have any way of figuring out which was the ever-important last click. This means all the networks who drove any click at all would bill the advertiser or the campaign owner – irrespective of whether they delivered the last click or not! What happens in this case is that the advertiser would have to pay double or triple the actual amount they should be paying, as multiple networks would be claiming for the same install! What do you think it is going to do for your Cost Per Install? It is important that you do not let this happen to you, and to ensure that you must have the suitable connections set up. When you take care of this, the network is automatically informed in real time (called postback), that theirs was the last click. This makes sure that the advertiser or the campaign owner is not charged wrongly. In case the network still charges them, the campaign owner would instantly observe any discrepancy between the invoice and the attributes. This way, they can take care of any such issues at the right time, with hard data to back them up. One of the most common challenges faced by campaign owners (which is tough to handle) is that a network may deliver an impressive number of new, unique users for their app, but it is discovered later that these installs are of low quality. What we mean by low quality installs is that though, the user base for the app might grow exponentially giving quantitative results (i.e. number of downloads) but a large number of these new app users may not have had even one active app session or completed any in-app actions. This issue becomes especially significant, if you are offering your app for free, and dependent on in-app actions or purchases for revenue. If you are serious about growing your business through your app, it is important of course to pay attention to the networks that bring in installs, but also to identify those that drove the “high quality” installs. The quality parameters may be varied from ‘revenue’, ‘engagement rates’, ‘retention rates’, or any other depending on the campaign goals set at the beginning. 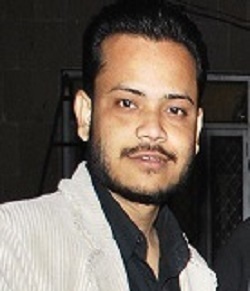 This can only be achieved by continuing to monitor the post install activities of the users and the in-app events and later connect these events back to the acquisition network that drove it. As this process is carried out in a systematic manner, clear patterns emerge helping you identify the value that each of these networks being back for your app. As a marketer or campaign owner, it is only natural that you would want to enhance the quality of every new customer acquisition that comes your way. If this is one of your concerns, cohort analysis is one of the most effective tools for you. Cohort analysis helps the campaign owners to understand the way different kinds of users behave and then go ahead and target new user groups on the basis of this information. A cohort report is unique in letting the campaign owners bundle users together on the basis of certain common characteristics. This is done with the intent to measure certain predefined KPIs for these groups (or bundles) of users across varied timeframes. In contrast with the typical retention reports, cohort reports help the campaign owners compare their results in a much better, controlled way. For example if you were running a campaign, you could focus on the users who come from U.S. (through the campaign) and measure the average revenue from them over One Day, One Week, or even One Month. Now that you have this information, you can compare it to an entirely different cohort group that came from a different source to determine which source was responsible for driving the best quality of users over a period of time. Consider cohort analyses as sort of allies to your efforts in cracking the right mix and determining the right audience for your campaign. These can be used to compare engagement or to compare the monetization of different user segments. This comparative information is of particularly great value when as a marketer or campaign owner, you are trying to optimize your future ad spending and targeting. As of now it is a norm to consider only the “Last Touch” or “Last Click” as the defining measure to study conversion. However, you must understand that there in fact are multiple touch points all through the customer journey that cast an impact on the conversion. Each of these touch points have play an instrumental role in introducing a product or brand to the targeted user while making sure that the product or brand stays at the top of their minds all through the decision-making process which would eventually motivate the users to complete the buying process. Let’s say, a consumer saw an ad for your app while browsing through a certain social media platform, then later watched a video ad while playing their favorite game. Now, the consumer at this point may not have downloaded the app, but these touch points have already introduced the consumer to the app at two different occasions through two different mediums. Now, the customer is not just introduced to your app, but it is also at the top of their mind. Now, after the customer comes across another app install ad on the same or maybe an entirely different network, they are all set to convert. They click, reach the app store, and install it! Now, if we lay the entire responsibility solely on the Last Click, it may not really be a fair game! Now, “Last Click” model is definitely not perfect and not the ideal way to do this, but as of now, it is the method accepted as a standard in the industry. If we think only from the perspective of billing, this method actually makes sense, simply because multi-touch attribution is not a possibility right now. However, just because multi-touch attribution has no tangible impact billing, it does not mean that there is any less value in it! As a campaign owner, you must measure the most common conversion paths which would lead users to install your app and then continue investing in the networks that are contributing to them. It is these networks that are effectively nudging prospects down the buying journey, helping them get ready for conversion. This means that as a campaign owner you must keep the entire funnel in mind all through the decision making process while advertising. In fact, you can actually see this happen when you cut off your investments from a certain network and the conversion rate on other networks gets affected. Just like URLs take the users to a specific page within a website, deep linking technology makes it possible for the campaign owner or the developer to direct a user to a specific section of their app. Using this technology, the developers can make use of creative ads or intelligently crafted call-to-action and send user to a chosen app screen which is most relevant to the campaign in question. This makes a lot more sense than simply taking the users to the home screen of the app whether that is related or not. Accurately implemented deep-linking creates a non-disruptive user experience that is linked with enhanced user engagement for the app. Let’s take the example of an ecommerce app that wants to serve an ad campaign that is targeted to users who would be interested in a specific line of clothing. As a marketer what you can do is promote a 25% discount for the user to buy clothing from that specific line, let’s say formal shirts. The fun begins when you implement deep linking and lead them to the formal shirts section within the app. This same concept can be applied to almost all kinds of apps including hotel booking app, video streaming app, or any other! 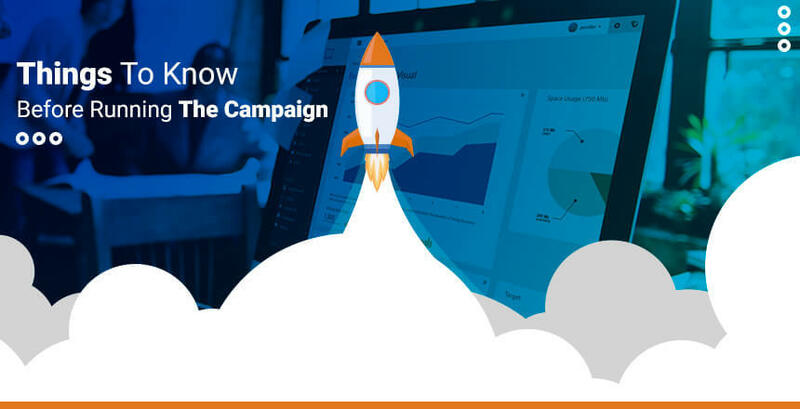 This is a great way to make the campaign a lot more personalized and targeted, thus bringing in better conversions and increasing the quality of overall user experience. One unique and great benefit of using this technology is that everything is trackable due to the custom URLs leveraged in the deep linking technology. These seven things above help you understand the concept of mobile app install campaigns. In spite of knowing all that there is know about them, it is important that you understand what is it that makes them so successful and beneficial for the growth of your app and eventually your business. Why you must go for App Install Ads? The amount of money being invested in paid app install ads or campaigns is increasing every year, and the trend is only going to get stronger as they are bringing in some huge numbers for the app owners. It is a rare customer who invests a fair amount of time in trying out all competing products and brands before going ahead with the final purchase, which means that getting any prospective customer to simply try out your app is more of a challenge that you thought. What if you are not among the most popular apps or the most visible apps in the market? How are you going to acquire customers? The answer quite simply is app install ads. It is a great idea to use the most impressive features of your app in a mini trial version which they can tinker around with, before going ahead and committing to a full version. The first experiences that the users would have with your app are crucial and the users are far more likely to download your app if you can get them hooked without them actively doing much! The type of app downloads can be quite clearly categorized into two – Organic & Inorganic. In case the users discover an app while browsing the app store and download it; it is deemed as an organic download. 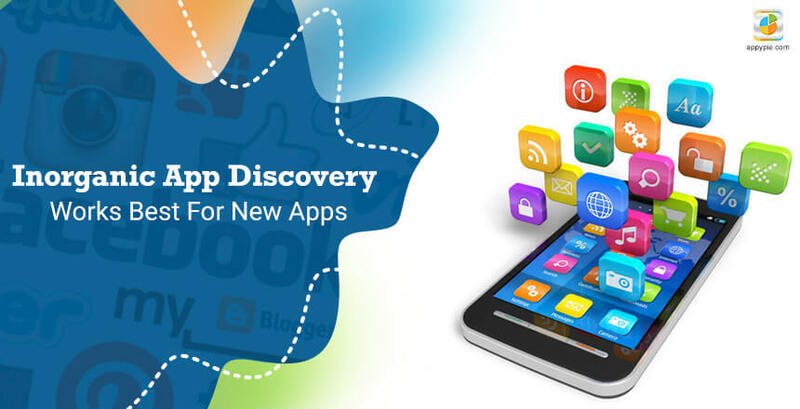 This kind of app discovery or app download is dependent on app popularity rankings and user ratings. Now an app that only has a few dozen ratings would not really incite any kind of faith among those who come across it, however if it had hundreds or maybe thousands of ratings the trust level goes high up! Now, if yours is a new app, you are at a major disadvantage in this regard, because you would quite obviously not have many downloads and ratings. Hence, you are not going to be able to rank on the charts for quite some time, thus the chances of organic app discovery and install are abysmally low. This is where inorganic discovery may come in handy. It essentially refers to the process of users downloading an app to which they were led from an external source. If new apps can increase their number of downloads, they’re bound to move up in their ranks. In case you end up boosting your app download numbers by a huge margin, chances of you getting a big leg up on the list are heightened as well. This is achieved pretty smoothly using app install ads, reducing alternatives (may be even eliminating them) and reducing any efforts on the part of the users. It can be quite a pain when you run a campaign and struggle with the metrics of it, thus ending up with less than crisp outcomes. These fuzzy outcomes further make it impossible to tweak the campaigns as they are running and plan any future ad campaigns. App install ad campaigns are in fact unique in coming up with results that are effectively measurable. In an app install ad campaign, you would be paying the network on per install basis, instead of having to cough up CPC or CPV. This means you are in a better position to track exactly how many direct downloads you have gotten from any particular network. This then helps you determine the value of each network for your marketing campaign. For any ad campaign you are running for your app, the basic idea is for you to get some tangible result like maybe increase the number of app downloads. For most types of ad campaigns you end up paying for events like impressions which means that you are paying to get the ads exposed to the audience. The results are limited only to this number, and does not go beyond. In case of app install ads, however, you are going for the cost per action or cost per install (in most cases). This means you would pay the network only for the number of app installs you get while achieving your eventual goal, increasing your user base! Also, the ad network is more diligent here, because they only get paid, when they deliver! In case you are at a stage where you need massive promotion and visibility like maybe when you are launching your app or have come up with a whole new version for your app, an app install ad campaign can prove to be quite an effective strategy. However, it is not all rosy and there are a few cons to app install campaign as well. If you are running a mobile app install campaign for your gaming app, you must understand that the competition is high, hence the cost incurred would be high as well! The success of a mobile app install campaign depends greatly on the quality of network you choose. Choosing a quality network that would bear you desirable results and the best ROI can be more challenging and complicated than you think. When you are running an app install ad campaign, your entire focus lies in attracting as many users as possible and inviting them to install your app. If, however, you want to avoid low quality users installing the app, only to abandon or uninstall it, you would have to get more creative and beef up your campaign. How to run an effective app install ad campaign? As you have finally reached this section, you are probably convinced that you are going to run an app install ad campaign for your app. Great! Time to get started, right? Well, not really, there still are a few more things that need to be looked into and planned in advance so that there are no unpleasant surprises. Like any other campaign or even a project that you might have run in the past, it is important that you begin the whole process with a strong plan that gives you an outline and all the important details of how you are going to go about with your app install ad campaign. At Appy Pie we have closely observed and have implemented quite a few app install ad campaigns for more than a few apps including our own. What we have done for you is reiterate the entire process for you and have even simplified it by breaking it down into 6 easy-to-follow steps. As a marketer, publisher, or campaign owner puts up their digital ad across different networks and media to boost up the number of installs for their app, they would be charged either on a fixed rate basis or in the bid rate format for each time an app is installed. The metrics used for measuring the budget of an app install ad campaign is the CPI or the Cost Per Install. A campaign owner has to pay the network only for the apps that have been installed by the users. The networks or ad networks to be precise make sure that they put up these ads in locations that enjoy a really high visibility. This is why the conversion rates for such campaigns are particularly high! Naturally, the value of an install is quite a bit higher than the value of a view (or impression) or even a click, hence, it follows that the cost per install or the CPI is definitely going to be considerably higher than CPV or CPC. In general, the CPI is about $0.86 for iOS apps and $0.44 for Android apps. When you are in the process of drawing up a budget, you would need to set a goal for the number of downloads you are aiming for and then multiply that number with the cost per install. This resultant sum amount is what would be your budget for the campaign. 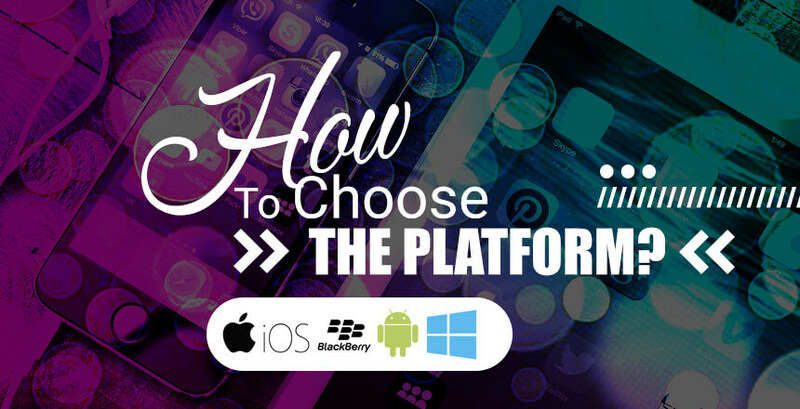 We have talked about choosing a platform earlier in the post and we will talk about the platforms a little later as well, but the idea behind choosing a platform is to find one that suits you the most. Though we are including a list of the best platforms later. In this section we are going to talk only about the prominent ones. Billions of people are using Facebook every month which gives the ad campaign a massive amount of visibility. In addition to that, the targeting capabilities of this network are impressive. The audiences for the campaign can be targeted on the basis of demographics, interests, and their behavior on the platform. The platform enjoys a sizeable user base (though nothing in comparison to Facebook) and has advanced targeting abilities. To top it off, Twitter also offers re-targeting capabilities which let you as a campaign owner to reach out to those users or prospects who have, in the past, visited a specific kind of websites or have installed certain apps. This is actually a part of the AdWords platform from Google and lets the campaign owners drive app installs all across the biggest of their properties which include the giants like YouTube and Google Play! It has a cool ad composition tool that goes ahead and creates the ads for you by lifting the app’s graphics and the text from the description you put up on Google Play Store. Isn’t that something? This is especially effective if you are targeting the millennials and even GenZ because they seem to be hopelessly in love with Snapchat. The platform offers multiple formats including full screen (Snap Ads), location based (Filters), and naturally augmented reality (Lenses). No matter what choice of campaign you go for, it is important to implement suitable tracking measures. This is also true for your app install ad campaign, otherwise you would have no data when you want to measure the success or failure or the extent of it. Irrespective of the platform you choose to go with, you must enable app install tracking. In fact, in many of the platforms, this option is enabled by default. Also, make sure that you also update your analytics software development kit or SDK. Most of the good platforms generally give you a good walkthrough for the process. This step is especially important for the first time or new campaigners. 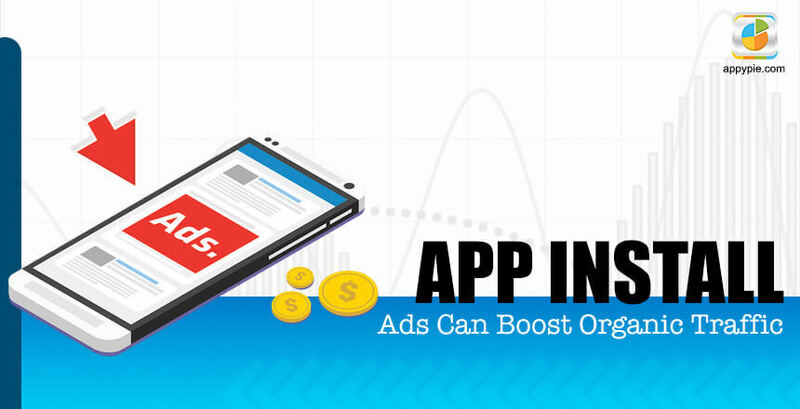 If you are looking to draw the maximum ROI for each dollar you spend on app install ad campaign, then you must run your campaign by targeting the audience that is already familiar with you. People who have maybe visited your social media profiles, have interacted with it, engaged with your earlier ads, have given you their personal information or email etc. are naturally going to be more positive and receptive to your current campaign as well. Facebook App Install Ads actually let you target a custom audience letting you reach out to these relevant groups of audiences. You must also build some lookalike audiences in order to reach out to the user groups who might be interested in your app. This audience or user group is best created on the basis of your custom audience that has already installed your app and a separate group on the basis of high engagement users. As you target these two groups of audiences you would be able to find a fairly receptive audience. Once you have chosen a platform and have set up a target audience all that is left for you to do is create the actual ad. This however is not as easy as a walk in the park, it actually takes a lot of planning and a whole creative process. The social media feed and your targeted users’ timelines are highly populated and chances of them scrolling past your ad is pretty high. Hence, you would have to come up with something that would grab their attention. This means that if you have an app for your restaurant, your ad should feature food, people enjoying eating, instead of someone working out or travelling. Using anything less than the absolute high-quality visuals for your ad is a bad idea! 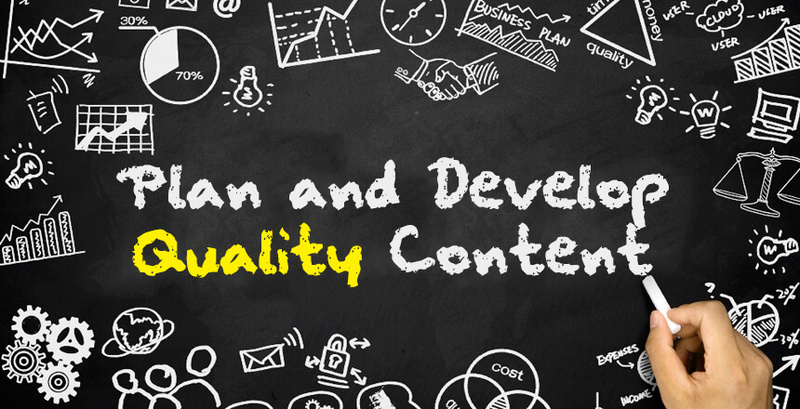 If you use great quality images, your targeted audience would get an indication of the quality of your app as well. Once you have the audience’s attention with a great visual or video, you would have to then go ahead and seal the deal with a compelling, brief description of your app and your products or services. Identify which features would appeal the most to your users and bring them to focus within your description. This is the final step of your ad campaign where you would be releasing your ad and analyzing its performance. One way to measure the effectiveness of your app install ad is by tracking the leap in your app store rankings. One thing to remember here is that the app store rankings depend on more than just the number of installs, it is affected by the number of uninstalls, active users, app ratings, reviews by the users, and more. The effectiveness can also be measured by whether there is a sizeable increase in the revenue and the user base. 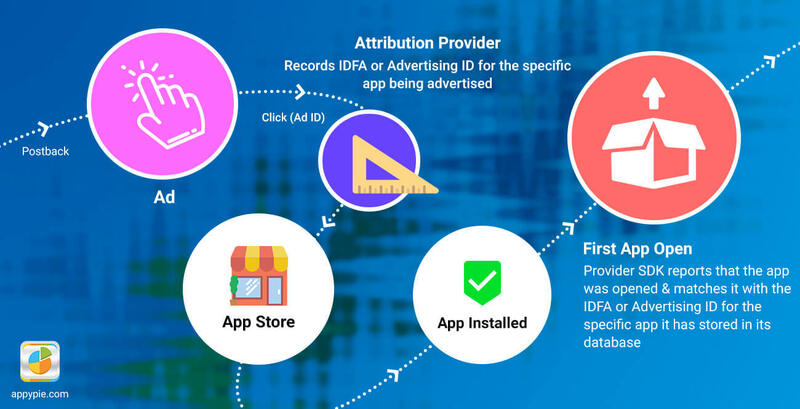 During the app install ad campaign, you must make sure that you use all the data available to you and adjust your targeting strategies, even the platform you are serving your ad on. In addition to this, you must also test different videos, images, and even messaging. Getting everything and every element of your ad might take some time, but the results would definitely be worth it! The list of steps above is a crisp and comprehensive list of that guides you through the process of planning, implementing, and tweaking your own app install ad campaign. However, there are some additional points that we believe any campaign owner must remember while they are implementing the app install ad campaign. 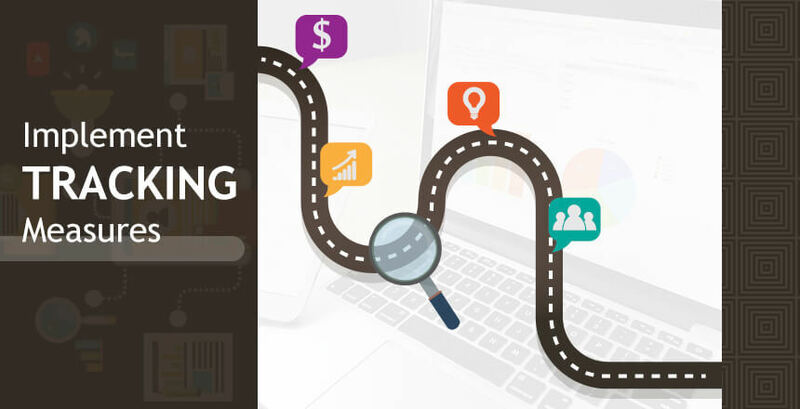 Following is a compilation of the most salient points that would help you garner the maximum ROI and make the most of your app install ad campaign. No one wants to see ads, no matter how good your targeting measures may be. No one thinks ads are cool, and no one is looking forward to coming across a bunch of ads. Inherently, the users distrust any ads that they see. It is for this reason that you must ensure that your ad looks like it belongs in the feed that they are a part of, instead of sticking out as a sore thumb amidst homogeneity. This might mean that you would have to design different ads for each of the network as they must blend well. This means taking care of the colors you are using, the theme around which you are designing the ad, and the layout of the ad & site/network of your choice. This way, the trust level for the ad would go higher and the customers are more likely to go for what you are selling. Building a brand name for your company, your product, your services, or for your app (in this case) takes a lot of time. Some of the biggest brands that you see today might have taken years to reach the stage that they are in today. If you have already made a name for your brand and it is something that people recognize and associate with, it’s brilliant! In this case the best way to go about starting the app install ad campaign is by leveraging the brand value that your organization enjoys already. Since people already know your brand, are familiar with it, and maybe even trust it to an extent, chances are they are going to place that trust in your app as well and install your app. But, in the likely situation that you have still not established a brand name that people can put their faith in, then you must begin doing so, immediately. Carry your brand logo and other brand properties on to your app and increase the integrity of your logo and the gain a positive perception for your brand. Number have the power to impress even the most distrusting of the targeted customers. If your app has been on the app store for some time and has reached a respectable milestone in terms of the number of downloads and the app ranking, it is a good idea to leverage these metrics. In your app install ad campaign, you can even include your huge number of downloads in the surprisingly less time duration and boast about your impressive achievements. A lot of people are actually doing this and trust me when I say that it works! In these numbers, people get validation that the app is of certain value. This thinking encourages most people to give the app a try and install it. 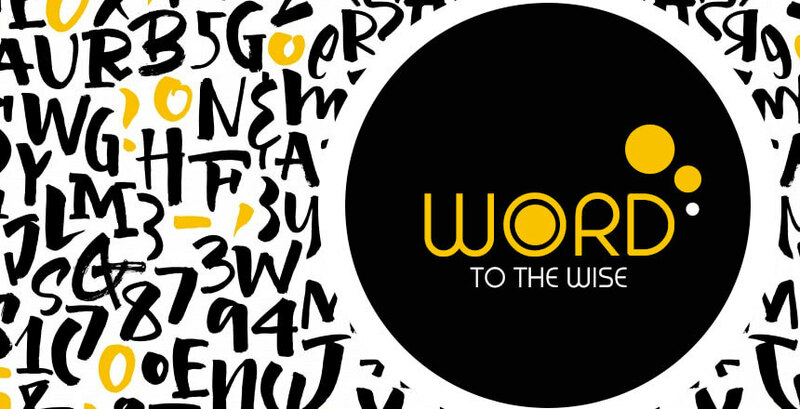 Words wield a huge amount of power. When you are designing the ad, before you publish it, it is important that you pay attention to the audience that you are targeting. Also, think about the intent of the ad, the objective that you want to accomplish. Are you planning to attract new customers or are you doing this to retain the old ones, are you planning to bring your social media followers or your desktop users on to the app version, or are you planning to accomplish a combination of all or a few of these things? The words that go into your app install ad campaign must be chosen intelligently to make sure that they are addressed in just the right manner. Needless to say that the text should be grammatically correct, if need be proofread it multiple times and get other people to read it once to sort of beta test the text. The mobile app install ad campaign that you have created should have something of interest to attract the users to it instantly. Creatively designed visuals including some relevant screenshots and GIFs can make even the most mundane looking ad campaigns come alive. Adding such elements to the app install ad campaign give your targeted app users a little taste or teaser about what they can expect from an app like yours. An ad campaign that you bring alive with these visual elements is bound to get more attention, hence better results. These visual aids convey a lot crisper and stronger message as compared to any other form of ad. Not many people would take the pain of reading all the text you include in your ad campaign. If you include a huge body of text in the ad campaign, then the impact would definitely come down. It is a better idea to reduce the amount of text in the ads and increase as much visual imagery as possible. A host of well-designed visuals are bound to bring in more users to your app. 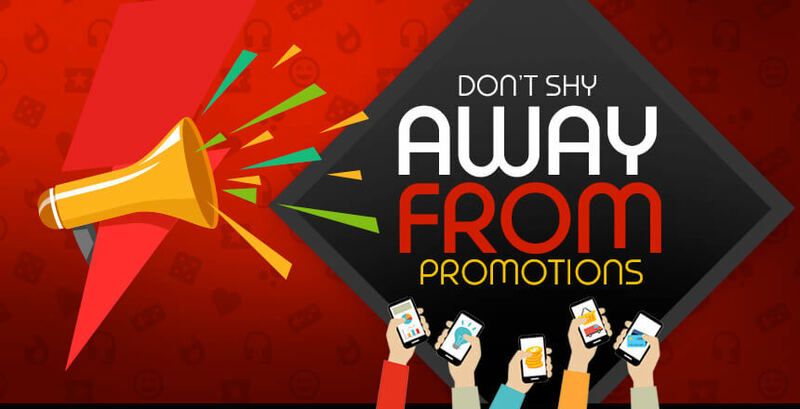 If you are offering any special promotions or discounts of any kind, it is a good idea to include all this in your app install ad campaign. However, if the people you are targeting are not interested in your product or offering, the chances of them paying any attention to all the lucrative offers you may have for them are really low. This is why make sure that your ad doesn’t turn into a promo ad, the app should still be the focal point for your campaign which would attract people towards your app. The promotion should only be a happy addition, a sort of a byline to the star of the campaign – your app. Tooting your own horn doesn’t bring in much respect for your app, nor does it instill any renewed faith among the targeted users. If you are the only one talking about yourself, the value of your app is not really going to appeal much to the users. However, if you were to include testimonials from your current users into your ad, you would definitely earn some much-needed brownie points for yourself. This model is emulated quite effectively in the books as they include critics’ reviews at the front and back of the book. 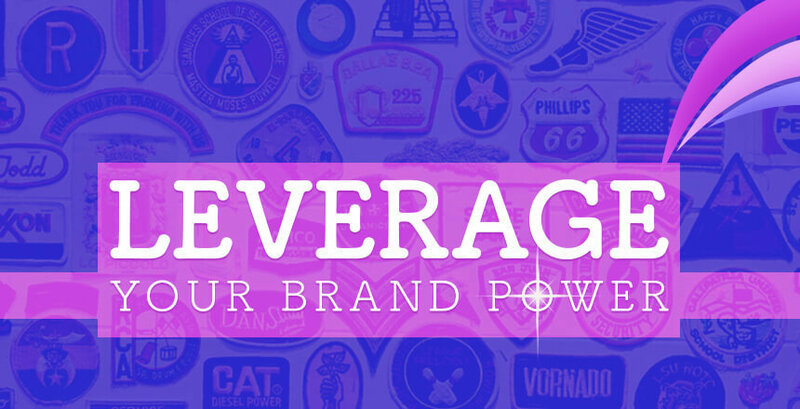 This strategy banks upon leveraging the voice of others to send your message across. Your prospective customers would love to hear about your app from others, instead of just you! Now that most of your ad is ready to be published, there is need for a strong and direct call-to-action or CTA. It is this CTA which is going to invite the targeted users to actually download and install your app, hence it must entice them. While creating this call-to-action, you make sure that it is short & sweet, crisp, unique, creative, and direct! This means a call-to-action “Get It Free” would work a whole lot better than “Subscribe Now”. For any marketing campaign to bear any measurable and positive results, it is important that the target audience is chosen well. This stands true even in the case of your mobile app install ad campaign. It is of critical importance to study the demographics of your target market. Most of the leading app install ad platforms and networks including Facebook & Twitter offer a lot of advanced targeting options. You can narrow down your target audience and make it more relevant by including factors like age, gender, profession, or even location and even some of the more intuitive factors like user behavior and preferences or interests.